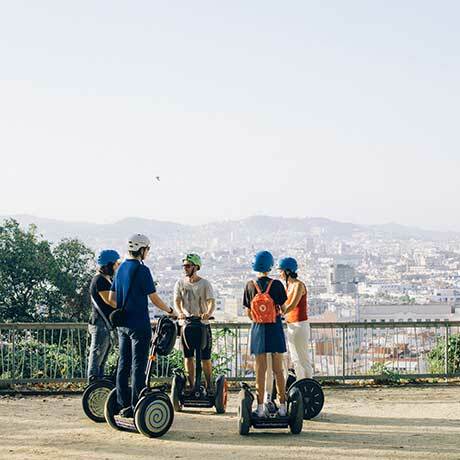 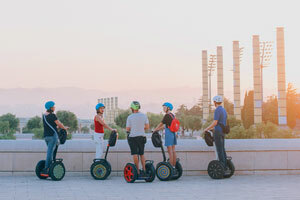 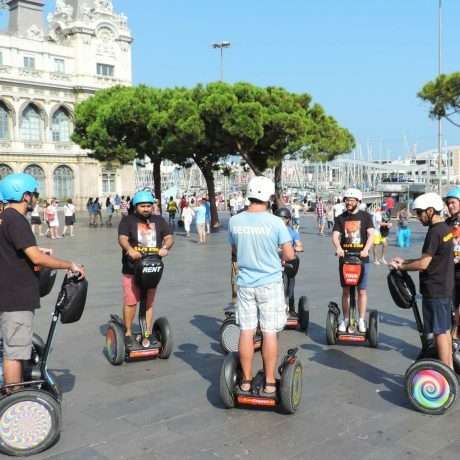 Come with us up the hills of the beautiful mountain of Montjuïc to get access to the amazing panoramic viewpoints of the city of Barcelona, comfortably riding a Segway. 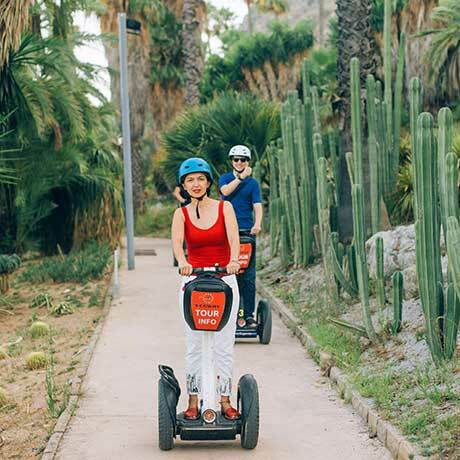 Ride the largest urban park in Spain and quickly forget the city stress discovering the peaceful gardens filled with beautiful backgrounds for your pictures. 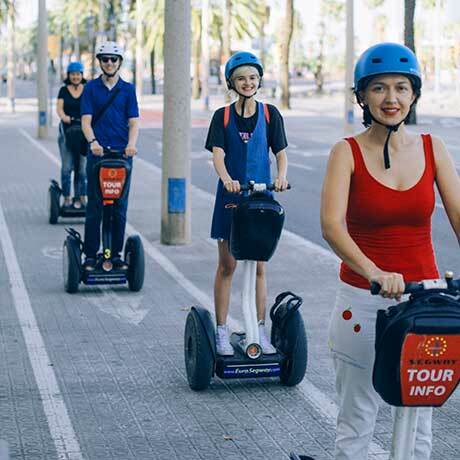 Celebrate with us the 25th anniversary of the 1992 Olympics and visit the Stadium and its main infrastructures to learn about its key importance to Barcelona promoting a healthy lifestyle and a close contact with nature. 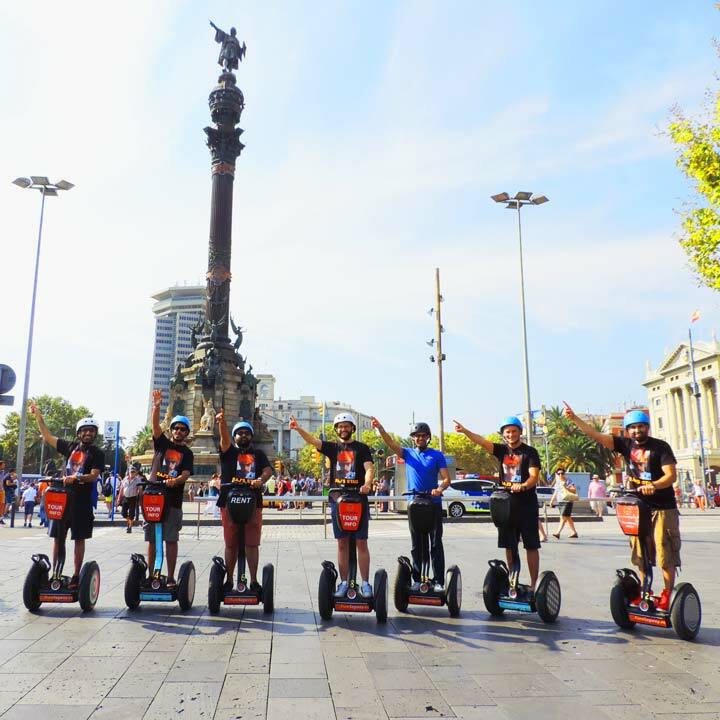 Take this opportunity to mark on your checklist the National Palace and the Magic Fountain and its amazing view facing the city from atop. 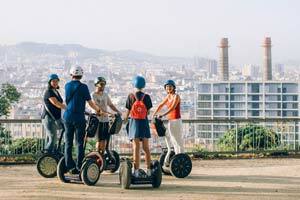 Learn about the significant importance of the sacred mountain of Montjuïc, both for the city growth throughout the ages and its role promoting Barcelonians sportive culture already at the end of the 20th century, while enjoying a relaxed ride through its monuments and fountains, taking in the pure pleasure of riding through nature. 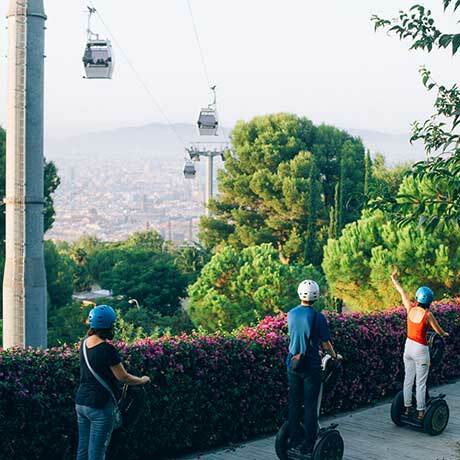 You can expect the most privileged views over the city as well as an interesting overview of its relationship with Montjuïc and the Mediterranean Sea, effortlessly, gliding on the ecofriendly Segway, of course. 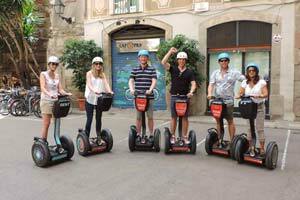 Our first ever Segway Tour but certainly not our last. 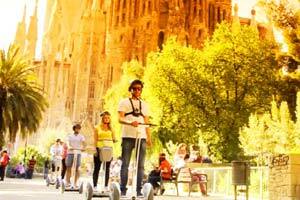 We did the Gaudi tour, 3 hours, which was great. 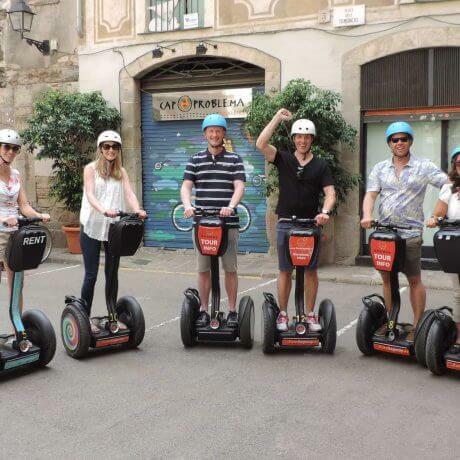 Our tour guide David, was excellent, very friendly and knowledgable and happy to answer any questions. 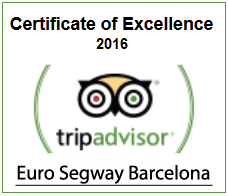 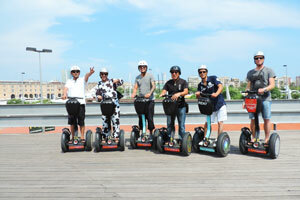 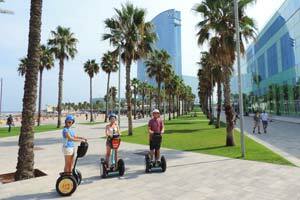 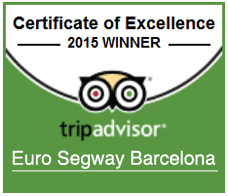 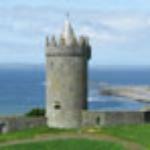 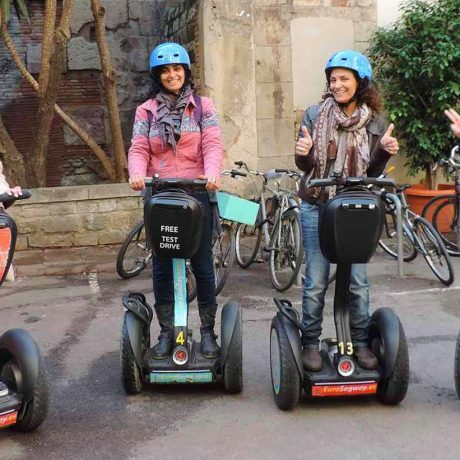 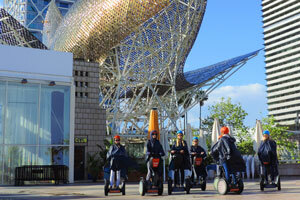 The Segways are amazing, easy to use and a great way to see a city in a short period of time. 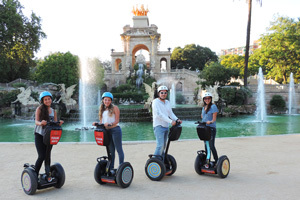 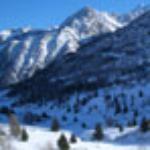 Go up the hills on Segway! 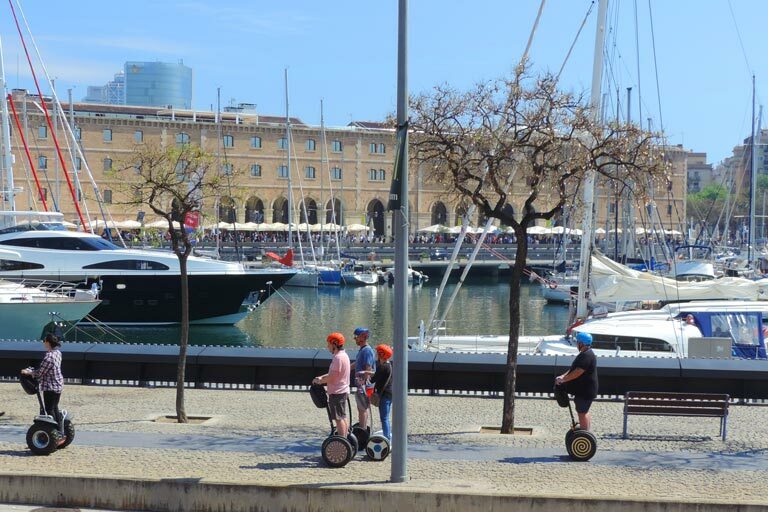 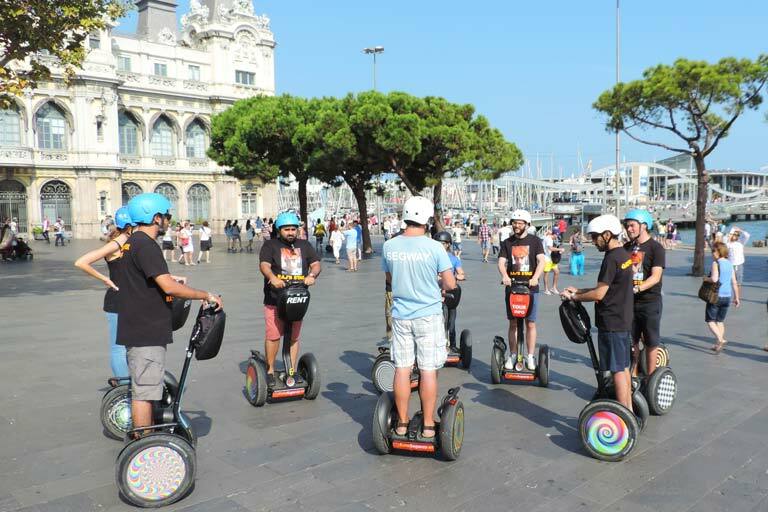 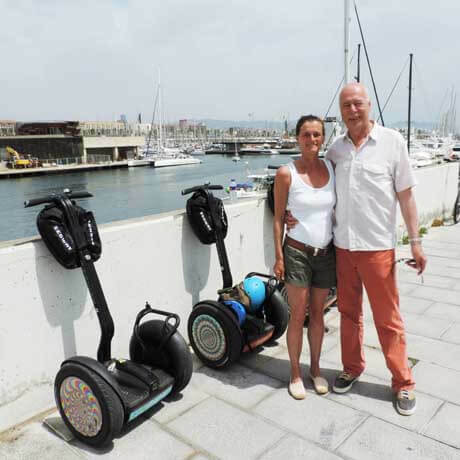 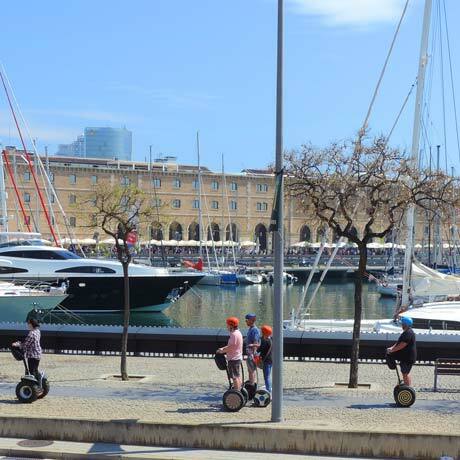 After a quick start practicing our Segway skills near our office in the Gòtic Quarter we move swiftly to the ancient Port Vell and in direction of Montjuïc. 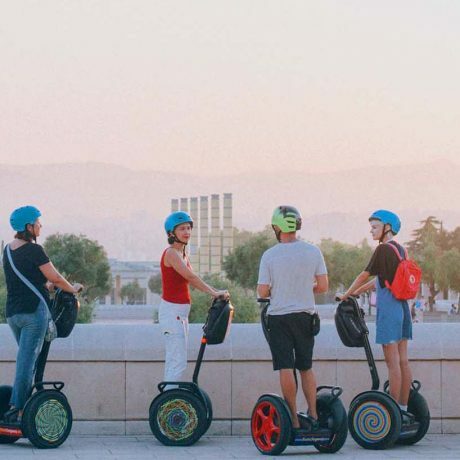 Passing the marina area, we’ll leave the bustling city behind and begin riding up the hill, leaving the rooftops below and us to admire all the intricate urban skyline, reaching from mountains to sea. 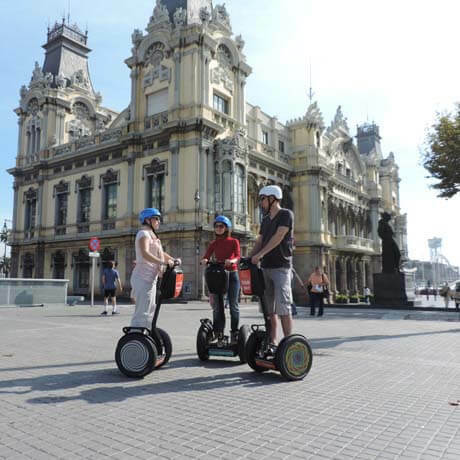 We will make a stop in the Miramar Gardens, a privileged position for us to learn about the city while enjoying the view, and, of course, perfect place to take some of the most awesome pictures of your trip! 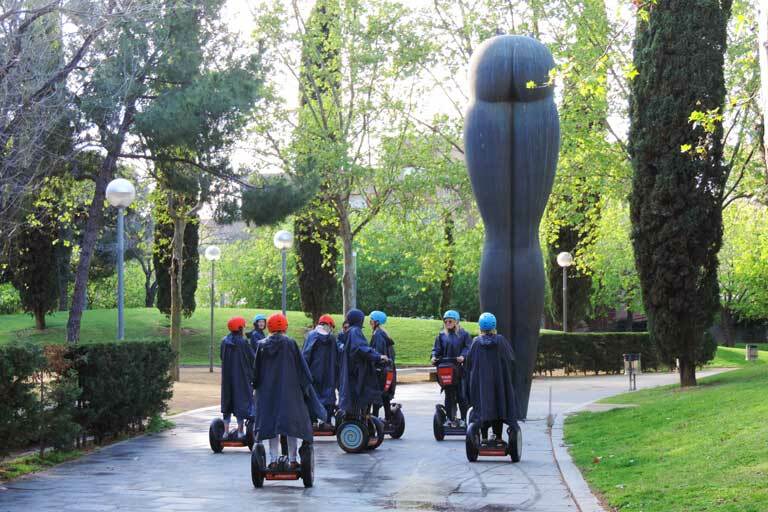 Gliding through the fresh forest we have the opportunity to admire some of the beautiful gardens around the Mirò Foundation, that houses the most precious of Juan Mirò artwork. 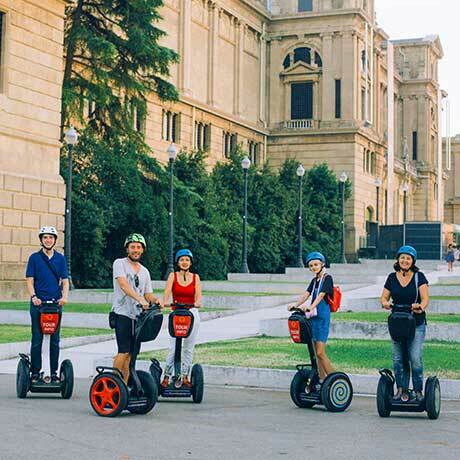 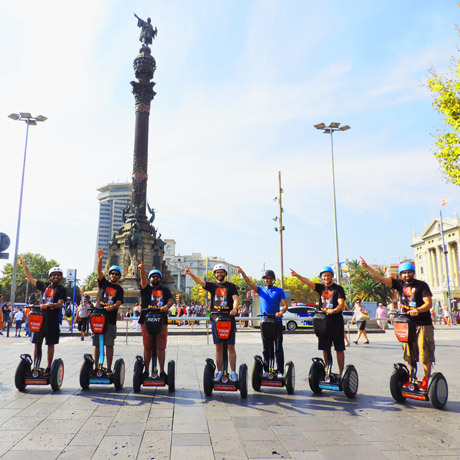 Our last stop is not the finish line, though: reaching the National Palace we will be rewarded with a breathtaking god-like view of the city, with the Magic Fountain at your feet, and more interesting stories following it, swiftly on your eco-friendly Segway. 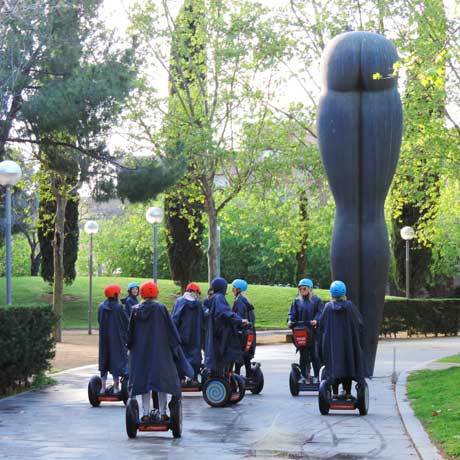 Loved the segways. 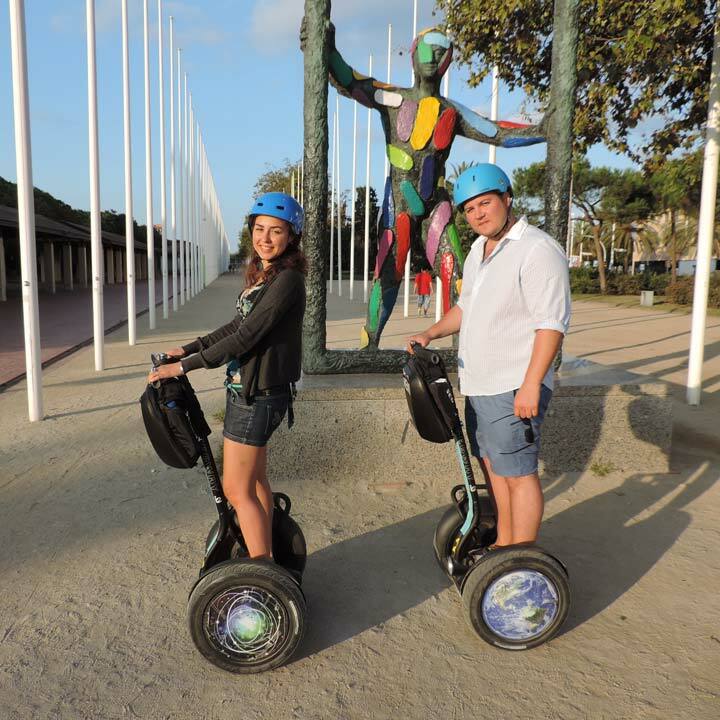 Loved Pablo our guide, Loved the tour! 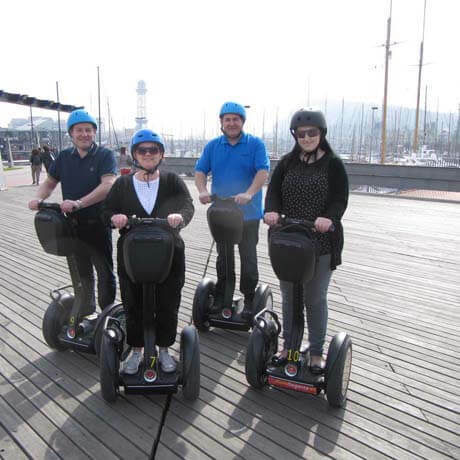 Fantastic fun all round! 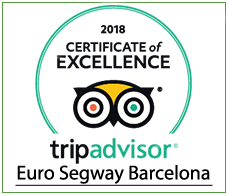 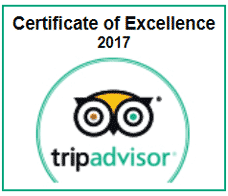 2 adults and 4 teen girls (12,12,14,15) enjoyed every minute and got to see parts of Barcelona that were new to all of us (my 4th visit). 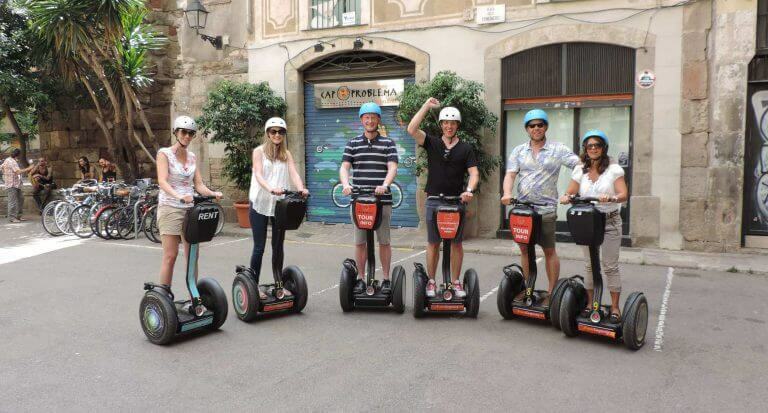 Luckily there were lots of open walkways to zip down and the tour made it to everyone's top 3 things to do in Barcelona.